Fire & Life Safety field service providers have been relying on ProfitZoom and its predecessor, SI Classic, for years. ProfitZoom’s history in the Fire & Life Safety industry makes it the definitive choice for providers seeking business management software. ProfitZoom eliminates reliance on multiple systems for daily workflow. It brings all business operations and processes together in one system. Your business is ready for growth, increased profits and reduction in overhead. ProfitZoom brings these benefits and more to your business. Provides visibility into your technician’s day with interactive dispatch boards. Having to double check data for accuracy between multiple systems costs you time and money. With ProfitZoom, you can run your business more accurately and efficiently. ProfitZoom can be hosted externally to reduce your IT expenses. 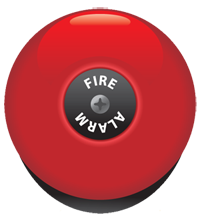 ProfitZoom helps you and your team get back to the business of fire and life safety. Take advantage of our expertise in your industry and propel your business to new levels. Contact us to learn more about our fire inspection software.